The men’s US Open concluded on Sunday with Novak Djokovic claiming the title. He, previously, had won the Wimbledon Championship 2018. Thus, he successfully gathered two Grand Slam titles this year. And the total Grand Slam tiles is his name is 14, equaling Pete Sampras’ number. Let us see the Grand Slam winners list (all the four championships) now. The US Open final match between Serena Williams and Naomi Osaka made it into the headlines of newspapers, not due to the match itself but the controversies surrounding it. Carlos Ramos, the umpire of the match, initially gave her a code violation warning when he noticed Patrick Mouratoglou, her coach, giving her hand signals. She responded that she neither takes coaching nor cheats. She lost a penalty when she smashed a racket in frustration, after losing a set to Naomi. Finally, she lost her cool and called him a liar and a thief for stealing her point. At this moment, Ramos deducted another point for verbal abuse. This, finally, led to the victory of Osaka (5-3) in the second set. Williams, now, needs to pay a fine of 17,000 US dollars for those remarks. She has stated that many men use much worse words in matches. And just because she’s a woman, she had to lose the match. She has 23 Grand Slam titles to her name till date. 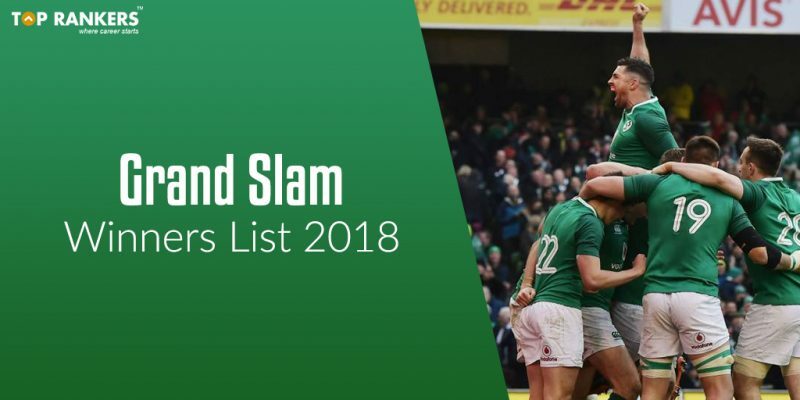 So, tell us, did you find our post on Grand Slam Winners List 2018 helpful? Then, keep visiting us regularly for more sports updates. And do share your thoughts with us in the comments section below. ‘Cause your opinion matters! NIACL Assistant Mains Syllabus 2018 – Know here! Thank you, Afzal. Your words mean a lot to us & inspires us to write better articles.